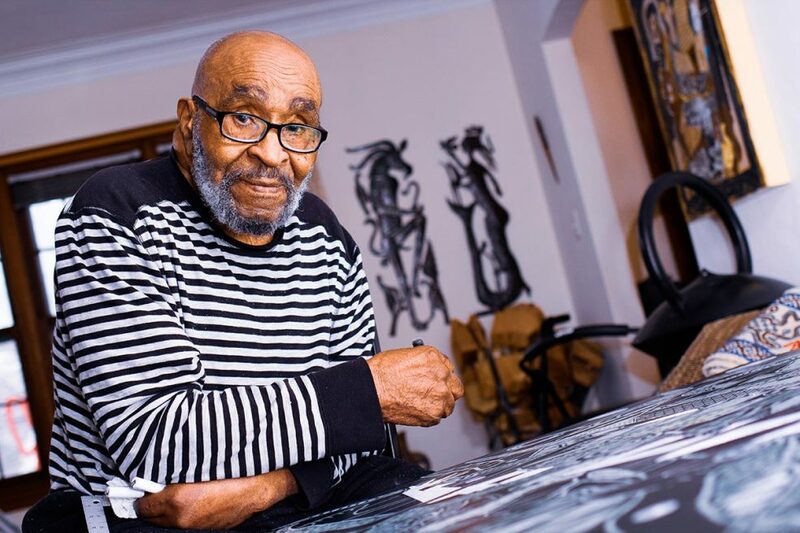 We are very excited and proud to announce the 2019 Legacy Award will be presented to Detroit artist Charles McGee in recognition of a lifetime of achievements and influences as an artist, teacher, advocate and global citizen. The award will be presented as part of our signature fundraiser, the Legacy Gala. The annual event, presented again by Thompsonville residents Mo and Linda White, will take place on Friday August 16th, 2019 at Crystal Mountain. Lyndsay McGee, daughter of the artist, will be in attendance to accept the award on behalf of her 94 year-old father. Former Director of the Marshall M. Fredericks Sculpture Museum at Saginaw Valley State University and MLAP founding board member, Marilyn Wheaton, will pay tribute to her longtime friend. Art Park board member Mary Ann Cheney is the event’s Chair. 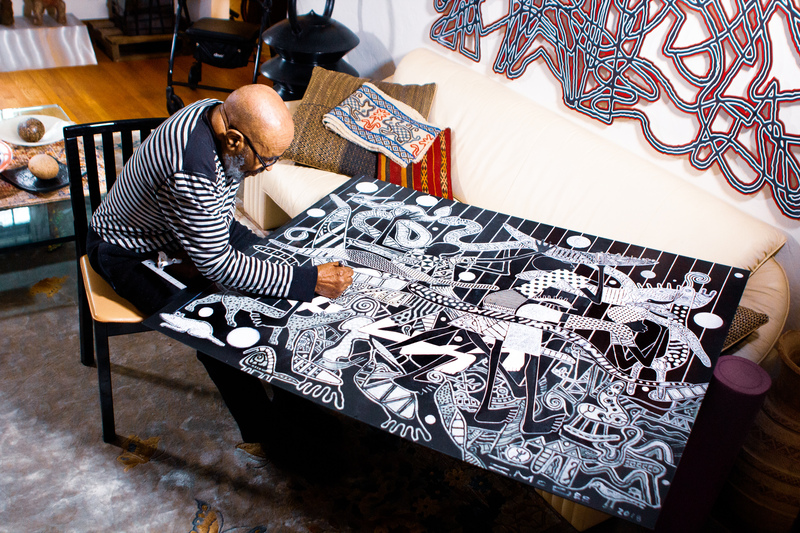 With a distinguished career spanning eight decades, McGee is recognized internationally as a cultural icon of Detroit. 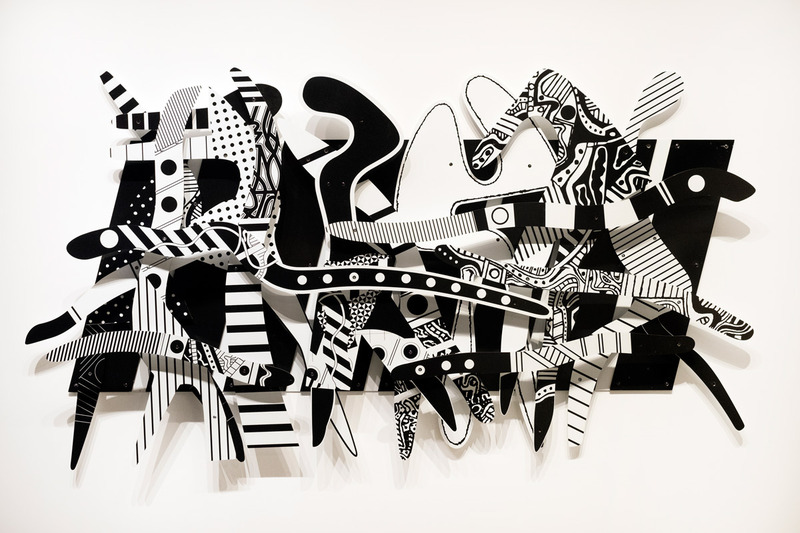 His work is cherished in many contemporary art collections around the world, as well as the permanent collections of the Detroit Institute of Arts, the Charles H. Wright Museum of African American History in Detroit and the Dennos Museum Center in Traverse City. In 2008, he was awarded the first Kresge Eminent Artist award. “We are truly honored by the opportunity to salute Charles with this award. We share his belief in the power of art to connect people to each other, and the environment around them. His energetic projects and ideas have created a lasting impact on Michigan’s culture, which is exactly what the Legacy Award is designed to recognize,” said Art Park Executive Director Joseph Beyer. The Legacy Gala event will feature a video tribute to McGee, silent auction, cocktail hour, sparkling wine reception, locally-sourced dinner, and live music. Event sponsorships are available now. Individual tickets for the limited-seating event go on sale April 22, 2019.